I am proud to have been part of the meetings industry for over a decade. The tagline of events business that says “Meetings Mean Business” is something I know to be true. I have seen it first hand having been a speaker or MC at over 800 events. When people convene, big things happen. The education, networking, and creativity that occurs around meetings cannot be replicated online. 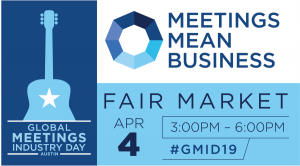 As April 4th approaches I am excited to join my peers to celebrate Global Meetings Industry Day. My speaking career began while I was working in sales and marketing for Fortune 500 Companies, law firms, banks, and consulting firms. On April 1, 2009 I took the leap (or was pushed out in a lay off) into the world of working for myself as a Keynote Speaker and professional Master of Ceremonies. I have never looked back. The journey to be a speaker, when you are not already famous, is neither a clear path nor an easy track. It has involved a lot of ups and downs. However, the one constant to my ten year career has been the amazing people I have met. Meeting planners, hoteliers, transportation entrepreneurs, sound and audio professionals, etc.. are all dedicated to assembling all the many parts that make a live event rock. When it all comes together, the experience created is memorable and a catalyst for change. This year I was asked to serve as the master of ceremonies for the Austin, Texas celebration of Global Meetings Industry Day. It is an honor to be involved and I volunteered immediately. I am excited to be part of the event and look forward to sharing in this local gathering of all the people who make meetings happen. The sponsors include the national chapters of PCMC, AHLA, HSMAI, ADMEI, IAEE, ILEA, MPI, NACE, SGMP, SITE, SPIN, and TSAE (next year I would like to get the National Speakers Association local chapter involved, too). Great things happen when people come together. Face-to-face interaction is the platform where deals are struck, relationships are forged and ideas are generated. That’s what Meetings Mean Business is all about: showing the real power of what business meetings, conferences, conventions, incentive travel, trade shows and exhibitions collectively do for people, businesses and communities. This is what Global Meetings Industry Day is all about. Cities all over the world will be hosting events for Global Meetings Industry Day, and the Austin event (now in its third year) is going to be epic. Speakers include: Mario Bass, Kim Hanks, Richard Harper, Tom Noonan, and Steve Stout. If you live in Austin, mark your calendar and sign up today. The cost is $45, but the value of the education, meeting discussions, and networking are priceless. 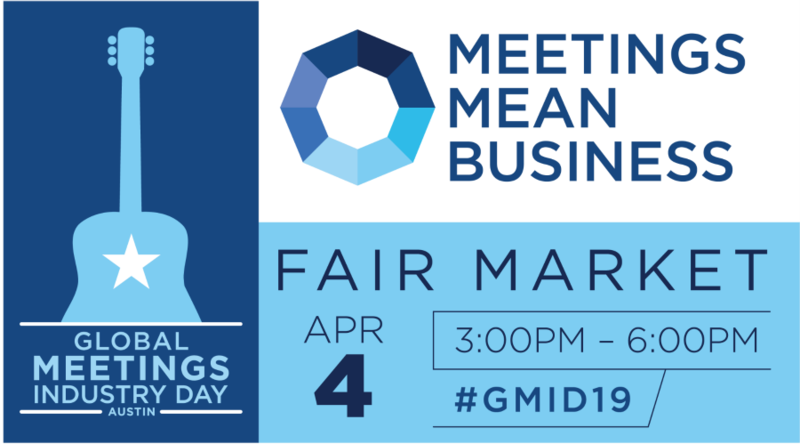 I hope to see you at the Global Meetings Industry Day event in Austin on April 4th. Thom Singer is a funny keynote speaker and a professional master of ceremonies. He is also the host of the “Cool Things Entrepreneurs Do” podcast and the author of 12 books. He can be booked directly at www.ThomSinger.com or via your favorite speakers bureau.